Oh, indeed it IS the most wonderful time of the year! The Christmas tree and decorations are up, the chrissie tunes are on full rotation and craft-upon-crafty-ideas are wafting through the air! While visiting my local shopping centre this morning, I couldn’t help but smile to myself when I caught a lyric or too of a crooning Christmas carol over the PA system – all the while dodging shoppers with trolley loads of presents mind you! FYI, I hate crowds. Especially those with a fanatical/crazy buzz to them. I just feel like shouting out: It’s okay people, the world won’t run out of toys!! Today is also a wonderful day as I finished my Jacob’s Ladder Quilt! I had planned to finish it once the craziness of Christmas was over but my impatience gave in. I oddly experienced a very weird rush of enthusiasm and patience to simply sit quietly and finish hand-tacking the binding. Even Lucy, my dog, was overtaken with a quiet patience as she snuggled and snored next to me through out the whole process (this is a behaviour rarely seen from her). It took a while to get it all done but I’m glad I took the time out of my ‘Handmade Christmas’ bubble to finish this deserved quilt. I made an ‘arty’ effort of taking some lovely photos to share with you – showcasing the front and back – while dodging pesky buzzing bees and shooing little flower flies from attempting to crawl down my top. I also managed to avoid the spider webs that were trailed across our Colour Bond fence, picked sticky flower petals out of my hair, while ensuring the sun didn’t blind me as I avoided overexposing my photos – Phew! I love your quilt! What is the finished size? Thank you! The finished size is about 65″x65″ (165cmx165cm). Beautiful quilt… and you did good with how many blocks and what size, but I need to know how much gray and how much white fabric to purchase? Please advise! I love this quilt!!! Great job. This is beautiful. I have a jelly roll with some darker earth tones and will be tryin this with it. May I ask you how big the finished product is? And also how much of your white & grey material was needed? The plan for your own quilt sounds wonderful! The finished quilt measures about 165cmx165cm (65″). To be honest, I can’t quite remember how much grey and white fabric I used. I think you’ll be safe with at least 1.5m (2 yards). The Jacob’s Ladder has helped me find the right quilt block for the fabric choices I have made for my first baby’s baby quilt. Always hard to match a pattern to willy-nilly fabric buying. I have a lot (20 different) of small patterned and bright fabric with two large cuts of contrasting yet coordinating colors. Hope to send you a pick after. That seems like a great collection of fabric! I’m sure your quilt will turn out beautifully! I’m so excited to see a picture of what you’ve made! Hi Amanda, just come across your lovely Jacob’s Ladder quilt in Pinterest. You’ve inspired me. The half square triangles give it such movement! I think I might be able to adapt it using nine patches which I love too! You obviously live in a nice warm place with sun like that at Christmas. I’m in England and if you are a tennis fan you will have seen that we managed to scrape some sun together for Wimbledon. Happy quilting. Thank you for your lovely comment! I’m so happy I’ve inspired you with my quilt! This is just GORGEOUS! I am also a huge Denyse Schmidt fan. Do you mind sharing how many different fabrics you used to get that amazing scrappy look? For sure! I used about 12 or so fabrics from some of her fabric lines she released in 2011 (I can’t remember the name of them!). I had a huge a pile of them saved up waiting for the right project to come along – the Jacob’s Ladder was perfect to show off all the different prints. I love how something so simple can be so amazing! My new favorite quilt, I must try it! And now I wish that I would have cut all my scraps for my string quilt 2.5″ so I could do this one instead. It is a beauty, isn’t it?! Good luck with your string quilt (and future Jacob’s Ladder Quilt?)! I have been admiring this for days! I am a new quilter but you have totally inspired me!! I’m so happy my little quilt has given you inspiration! 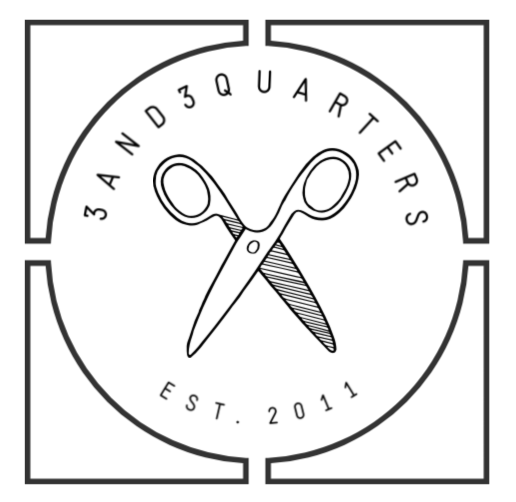 As a new quilter, as well, I’m wondering if you ironed your seems open on the four patch. I love this quilt; you did a beautiful job. I am looking forward to finding the perfect fabrics to make one of my own! Thanks for your comment! To answer your question, no I didn’t iron the seams open on the four patch squares. I simply set the seams and then ironed them to one side. I wish you the very best of luck in your Jacob’s Ladder Quilt making journey!! I found you through Pinterest and I love this quilt! I’ve seen the Jacob’s Ladder block before, but never like this. Awesome job! This was the first time I’d ever heard and made this block – it’s now become one of my favourites! I made this quilt with some of my most favourite Denyse Schmidt fabrics and it worked out really well! Gorgeous! I loved the class Magical Jelly Roll Quilts and this was my favorite of her quilts. You did a marvelous job — love your colors. Thank you! I loved the class as well. This quilt was lots of fun to make and I love it to bits! Really gorgeous quilt. The values!!!!!! I love the values too! I’m really happy with how effective they turned out. Isn’t Pinterest just the best!?! Hi – Have just found a picture of this quilt in progress on pinterest and had to go to the source. This is just beautiful – well done. 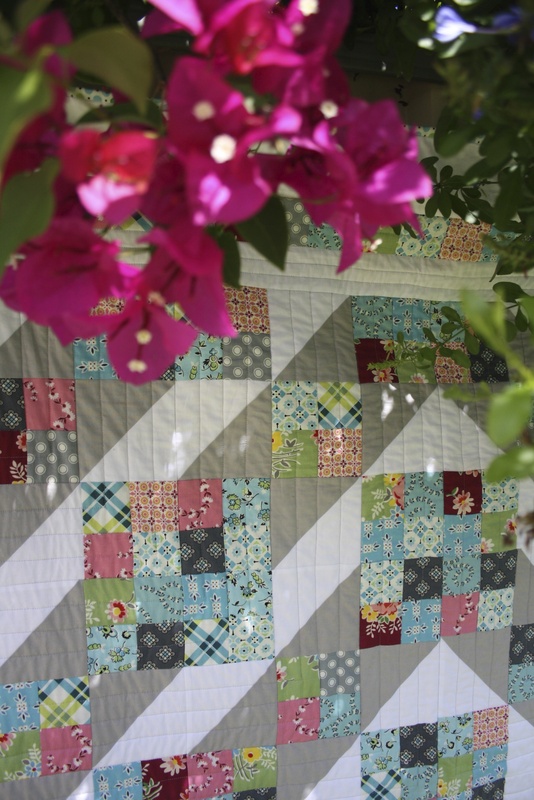 I love this quilt to bits – it’s my ultimate favourite!